Facebook Upgraded Their Live Videos To Live 360 Videos! Video content is all the rage now and the trend and popularity of such content only seems to be increasing (and steeply!). In fact, the popularity Facebook’s Live Video feature is a testament to how common and engaging videos on social media (and the entire Web in general) have gotten. 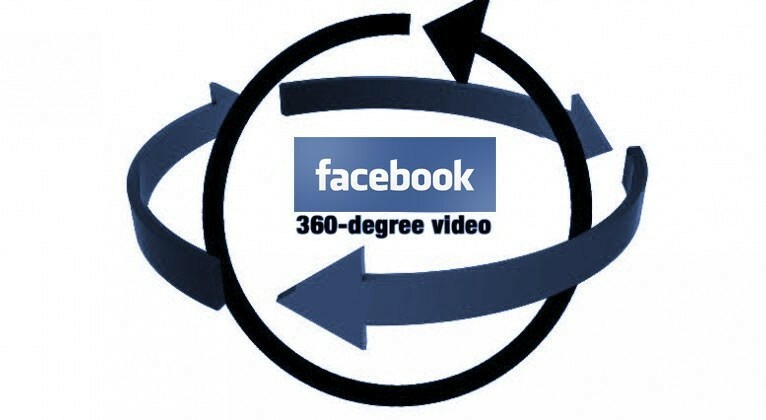 And now, in tune to the rapid demand for more engaging and more complex video content, Facebook has just introduced the 360 video feature to their live videos! 360 videos in general give a 360 degree view of a particular scene, location, or landscape that a video has shot. And in a 360 video, users can explore that particular landscape at their own pace and choice. The live 360 video feature is set to combine live streaming videos with this 360 degree view feature of the location/scene. The 360 video is already pretty popular in its own right. So to combine that feature with live streamed videos is sure to be a real head-turner (no pun intended). Facebook first launched their new Live 360 video feature with National Geographic on 13th December (2016). How To Host A Blab From Your Smartphone? 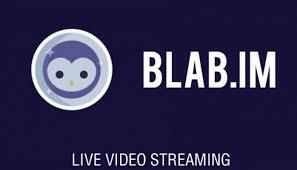 Blab is a live video hosting application that allows its users to record and broadcast live videos of whatever they wish. Blab users have the option to record their videos and save them for future use, and also decide whether or not other people can sit in on the live video. 1) First and foremost, you’ll need a Blab account. And, while it’s possible for you to create an account from scratch, it’s usually suggested that you use your Twitter account to log in. 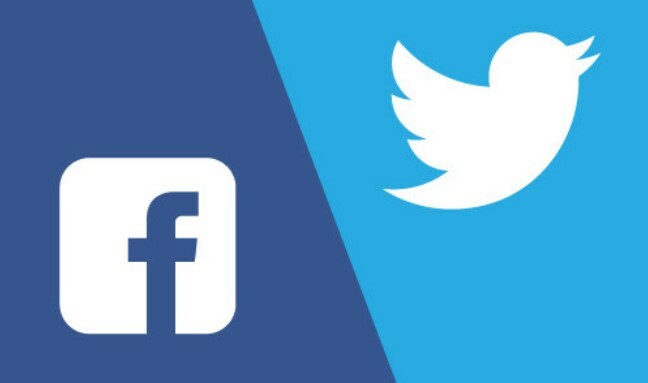 This way, you can share your video to your followers on Twitter. 2) Once you log in, you’ll instantly see a list of those you follow as well as live videos on air. However, this is about hosting your on Blab. So your attention should be on the “+” button on the top of your screen. Just click that button to start creating and hosting your Blab video. 3) Give your Blab video a name when prompted, and add appropriate tags as well. 4) Now, before you begin, first decide whether you want call-ins or not while you shoot your video. If you do, leave the seats open. If not, lock the seats. 5) Next, you need people to know your hosting a Blab, so notify your followers by clicking on the “Share” button and share your link via the sharing options available. 6) Now you can go on air and start your Blab video. If you’ve left seats open, you’ll be able to see whose joined in. And, you’ll also be able to see any conversations regarding your video as and when they happen. And now you’re all set. Happy Blabbing! Contact SEO Freelancer Mumbai @+91-8451924760 Now! Ever visited a website at random, read through and enjoyed some of their posts, and then you visited your Facebook account to find that posts from that website keep showing up as you browse through posts on Facebook? Or perhaps you clicked on one kind of post on Facebook itself, and although the website posts other subject categories of posts too, you keep seeing more posts about the kind of topic you visited more than the others? Well, that bit of marketing ingenuity is thanks to the Facebook tracking pixel that was probably installed on the website you visited. This tracking pixel then keeps remarketing similar posts from that website to you on Facebook. And a website can install a tracking pixel for twitter too. 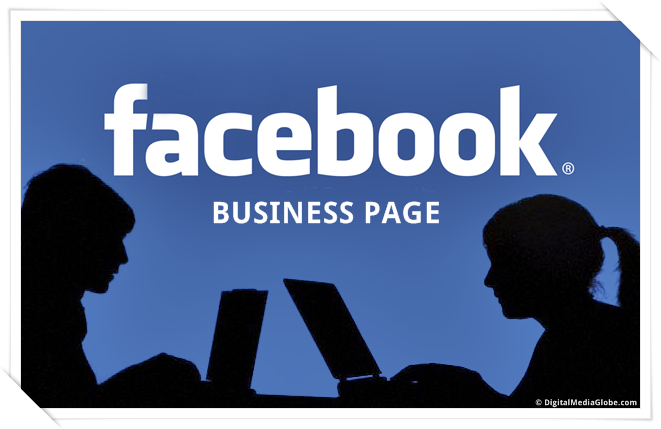 So, if you want to increase your website’s traffic, an easy way to accomplish this is by installing a tracking pixel for Facebook and Twitter on your website. This way, you can remarket your posts to those who have visited your website on Facebook and Twitter afterwards, which will most likely get you more post clicks and, consequently, more site traffic. Still, do remember that this is a technique to help you increase your website’s traffic by remarketing to your website’s visitors and subscribers or followers on Facebook and Twitter. It’s not an umbrella method for online marketing. Simply one method for it! For Best Social Media Marketing Services Contact SEO Freelancer Mumbai @+91-8451924760 or yogesh@seofreelancermumbai.in Now! Now, at first glance, this might seem like a reason to not use email marketing as a technique rather than to use it. After all, when integrated media – and visual media particularly – is the trend and go-to Internet feature of the century, emails are obviously not up to scratch. However, the fact is, a lot of people would actually be relieved to only have to deal with text for once. They’re bombarded with visual and audio messages throughout the day, most likely. And, having to sometimes only deal with text to read through can be a much-needed break. Besides, ever tried to watch a video or download an image with slower Internet speed than usual? It is annoying! And if you have to deal with buffering or half loaded images, chances are likely that you’ll simply skip the content altogether. And the same is true for your audience. Emails are much more reliable route in this particular aspect of content distribution. The truth is, although emails are less glamorous nowadays, there’s hardly a single business or individual out there without an email address. And, emails are usually checked multiple times a day or at least once a day by most. This means, your marketing message has a higher chance of being seen in an email than anywhere else. When was the last time you added a contact manually to your email account? Not recently, we’re guessing. And though this is a not-oft talked about feature, the fact is, unless your email is stored as spam (and if it is, you’re marketing technique definitely needs and overhaul), your contact email will automatically be stored in your recipients’ accounts. The trickiest part about being an entrepreneur and creating and managing a startup – especially in the initial stages – is the limited amount of funds that one has to deal with. It doesn’t even matter if you’ve already gained investors or have family money backing you up. For, you’ll always have too much to spend on and decisions to make on what you can do without. And, considering that there will be no startup or customers without a product or service, it is obvious why most new entrepreneurs will opt for focusing on their product or service and leave their marketing budget for much later. However, the beauty of the Internet age is that there are not only a lot of resources available now that are dead cheap (compared to traditional resources) but that there are also a lot of resources available online now that are absolutely free. And social media is one of the richest (and free-est) online marketing resources any entrepreneur could possibly use. Of course, there’s a paid aspect to social media sites too. But that is completely optional. 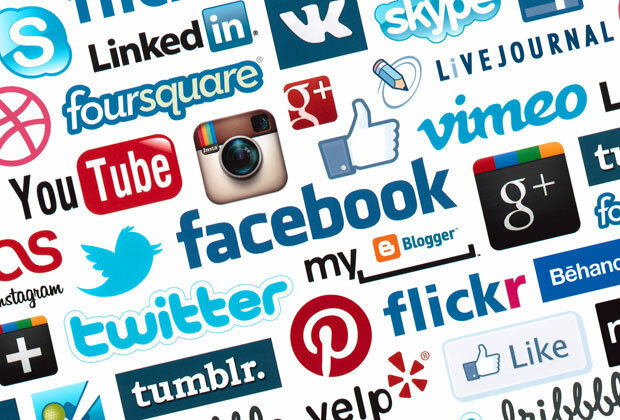 On the other hand, social media websites are primarily free and all you need to do is set up an account that is connected to your online platform and business in a number of social media websites (like Twitter, Facebook, LinkedIn, and any and many other such websites) in order to reap the benefits. After that, all you have to do is make sure you manage the accounts regularly (we would suggest that you hire someone to manage these accounts, but we’re focusing on the “free” factor of social media marketing in this article) and that you ensure every new blog post, offer, promotion, press release, or any kind of worthwhile information related to your business is automatically posted and shared on your social media accounts. E-commerce is one of the most promising niches in the web industry with huge growth potential but it is also the most challenging. This is particularly true with respect to SEO strategies because unlike other regular sites and blogs, the e-commerce sites offer limited content ideas, have less scope for backlinks and their pages are also huge in number and thus, optimization becomes a tough task. Nevertheless, it can be achieved if you utilize these tips. 1.Focus on garnering more customer reviews as it enhances your credibility in the eyes of search engines. 2.Write unique product descriptions and check for content duplication as there are lots of similar products on your site. 3.Work on the keywords and strategize on selective keywords for each landing page. 4.Have user-friendly permalinks and regularly post fresh content on the homepage and in the blog section. 5.Pay attention to internal linking with respect to related products, comparison pages, popular products, most sold and product categories. 6.Check your site for speed. The loading time should not be more than 4 seconds. 7.Make sure the site architecture is user friendly. The navigation, search and purchase procedure for customers should be easygoing and simple. Also, give out correct address and contact details. 8.Promote your products on video sites like Vimeo, YouTube and images sites such as Pinterest, Flickr, Tumblr, etc. 9.Publicize events and news related to your new product launches, sales, special offers, etc. with the help of press releases and news submission sites. 10.Be active on question answer forums and work on engaging existing as well as potential customers on social media. This can be achieved with quizzes and contests. 11.Go for guest blogging and do submit your products on Google product search. 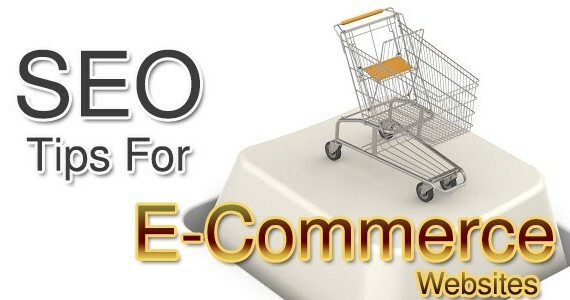 Contact SEO Freelancer Mumbai For E-commerce SEO @+91-8451924760 or yogesh@seofreelancermumbai.in Now! The length of any piece of content, especially when it comes to SEO, has long been an important factor in online marketing discussions. Even more confusingly, while the last decade or so has seen research and statistics and experts vehemently declare that short blocks of content are the best form of content on the Web, recent research has stated the opposite (and that too, with plenty of arguments from the opposite front). Now, for the most part, these leaps in SEO techniques have been blamed on Google algorithm changes for its search engine. However, that doesn’t help when we’re faced with opposing views about our content and we have no clue which is the right way to go. 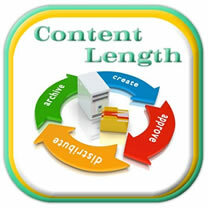 Practically speaking though, longer content may well be the way to go now, in spite of the opposition. For, as Google’s search algorithm is now looking for high quality content, it stands to reason that more information is a more attractive feature. However, don’t go overboard. If your content can be surmised effectively in 300 words or less, go ahead. Just don’t go out of your way to trim the fat, as those trimmings might well be what makes it interesting to your audience. But, if you add superfluous content that irritates readers and make them bounce from your site, you will just be undoing all your hard work. Conversely, if your topic of choice does require a higher word-count, again, give in to the need, and don’t go out of your way to shorten it more than necessary. The condition you must follow with longer content though, is this: Don’t have a page-long paragraph or go on and on without a break. You have a 2000 word article you want to post? Go right ahead. But divide the article into two to three or five line paragraphs for readability and use a comfortable font. And, if you can use sub-headings too, please do! 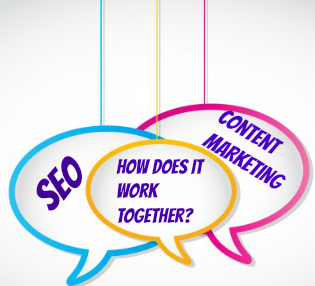 For Quality Content Writing Services Contact SEO Freelancer Mumbai @+91-8451924760 or yogesh@seofreelancermumbai.in Now! If you run a local business, one of the best returns you can get from your customers is good reviews. Now, of course, for a good review, you must have good products and services. But once you’ve mastered that bit, and you know your customers are happy, the best way to take advantage of your customers’ satisfaction is to nudge them into giving reviews about your business. 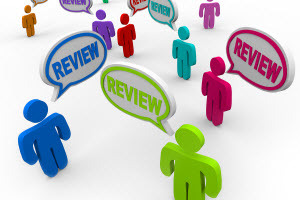 Now, these reviews can be Google+ reviews, Facebook reviews, or even twitter reviews: It doesn’t matter where these reviews are posted; all that matters is that these good reviews are posted online in a public forum in connection with your business. And, don’t fall into the pit of thinking that the higher number of reviews you get, the better your local search rankings will be. Sure, your rankings will improve, especially if your competitors don’t have the local SEO advantage of online reviews. But more than the number of reviews you have in relation to your site, it’s the higher rated reviews that will do the trick. There’s no need to fret about it though; the main aim is to get as many good reviews as possible, no matter the number of them you receive. Of course, the tricky part is actually getting reviews. But contrary to what you might think, customers are usually happy to give reviews as long as they’re reminded and/or nudged into doing so immediately after they use your product or service; that is when their experience and opinion is most fresh in their minds. In case you find getting reviews from your customers tricky without an incentive, you can easily give them a nudge by offering coupons, an extra service, or a discount for the next time they visit in return for a review. In fact, give your reviewers a simple mention of thanks on your local business’s Facebook page and you’ll often have loyal customers for life. For Best Local SEO Services Contact SEO Freelancer Mumbai @+91-8451924760 or yogesh@seofreelancermumbai.in Now!